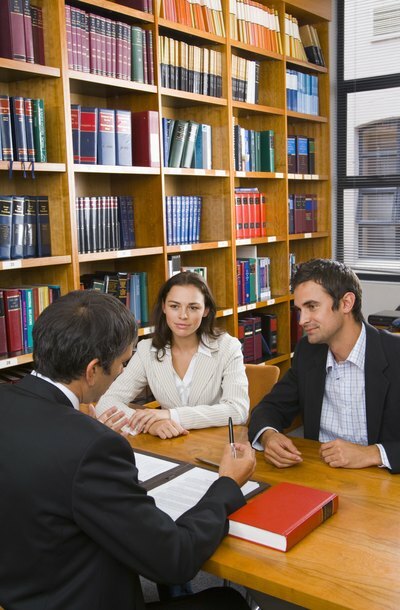 Bankruptcy allows the discharge of most unsecured debts, such as personal loans and credit cards. If the loan you have cosigned is discharged in a Chapter 7 bankruptcy, you will still be responsible for the payment of the debt. As a cosignor, known as a co-debtor in bankruptcy, you pledged repayment in full should your cosignor fail to pay for any reason, including bankruptcy. Although your cosignor's obligation may have ended with the bankruptcy, the loan is still valid and you will still be legally bound to pay it. If a codebtor is present on a debt, the codebtor must be listed on the bankruptcy petition. This gives legal notice to the codebtor that bankruptcy has been filed, and it protects the bankruptcy petitioner against any claims the codebtor may have against the petitioner for payment. During a bankruptcy case, a court order stays all legal actions for collection against the petitioner. At the end of the case, the petitioner's legal liability for the debt comes to an end, provided that the debt is dischargeable. In a Chapter 13 action, the automatic stay granted by the court extends to the codebtor. While the case is in progress and the petitioner is making partial repayments on the debt, the codebtor is protected from any collection action. However, creditors who are not paid in full through the plan can resume collection actions, including lawsuits, against the codebtor after the Chapter 13 case ends. Under limited circumstances, a creditor can file an objection to the repayment plan in a Chapter 13 bankruptcy, or file a motion for relief from the automatic stay in a Chapter 7. If the codebtor received property in consideration for the loan, or if the Chapter 13 plan does not schedule payments to the creditor, the court may order the stay lifted for that particular debt. A creditor can also argue that his interests would be unfairly harmed if the debt is discharged. If successful, the creditor can resume collection efforts in both cases. Wink & Wink: What Happens to My Cosignor in Bankruptcy? At the end of a bankruptcy case, you will receive a bankruptcy discharge that relieves you of all financial obligations toward the debt. The discharge also applies to home mortgages. Depending on whether you file for Chapter 7 or Chapter 13 bankruptcy, and whether you are current on your monthly payments, you may have several options if you would like to keep your home. What Happens to a Cosigned Loan in a Bankruptcy?